No. 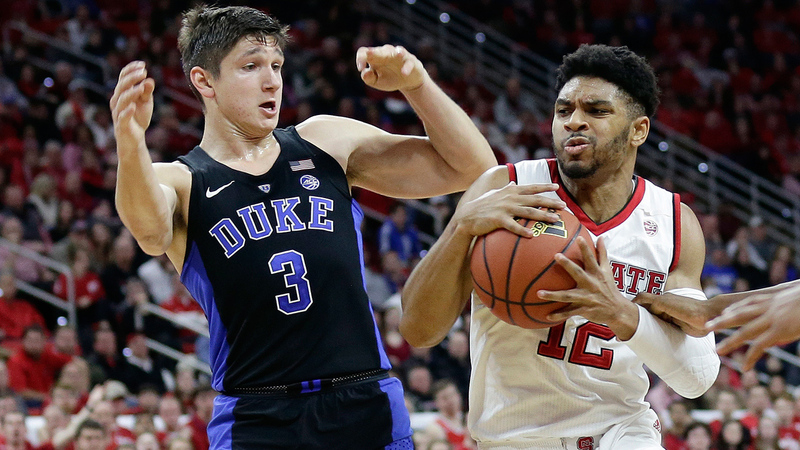 2 Duke falls on the road to unranked NC State, 96-85. Duke is now 13-2, 1-2 in conference play. NC State secures its first ACC win and is 11-5, 1-2 in conference play. Omer Yurtseven had 16 points while Torin Dorn hit two huge 3-pointers in the final 2 minutes to help North Carolina State upset No. 2 Duke 96-85 on Saturday night. It was the second win against a No. 2-ranked team this season for N.C. State (11-5, 1-2 Atlantic Coast Conference), which upset Arizona in November. The Wolfpack shot 55 percent after halftime, though the two biggest shots came from Dorn. He first hit a 3 from the corner over an oncoming Marvin Bagley III with 2:02 left and N.C. State protecting a four-point lead. Then Dorn hit one to beat the shot clock on an inbounds pass while being fouled by Javin DeLaurier, a four-point play that pushed the Wolfpack to a 91-80 lead with 1:06 left. Bagley finished with 31 points and 10 rebounds for the Blue Devils (13-2, 1-2), who couldn't slow the Wolfpack's offense all night. Duke: The Blue Devils have encountered plenty of trouble after making the 25-mile drive from campus in Raleigh in recent years. They had lost three of their last five here against the Wolfpack dating to 2010 -- including a double-digit loss in their national-championship season in 2015 -- and also suffered a first-round NCAA Tournament upset loss to Mercer in PNC Arena in 2014. Now they can add another frustrating moment to that growing list. N.C. State: The Wolfpack had managed a big-stage moment once this year with its Arizona win to start the Battle 4 Atlantis in the Bahamas in easily the best win of first-year coach Kevin Keatts' brief tenure. His team sure found a way to top it for his first ACC win, continually answering every surge by the Blue Devils after halftime in a game that ended with the rowdy home fans storming to midcourt at the horn. Duke: The Blue Devils visit Pittsburgh on Wednesday night. N.C. State: No. 25 Clemson visits the Wolfpack on Thursday night.